Whether you suffer from low back pain, would like to address your tight hips or shoulders, or would simply like to give yourself priority for 1 hour a week to mobilise and strengthen, this course is for you! Every week we will target a different part of the body: hips, shoulders, feet, spine and low back, core and much more, learning the building blocks to a feel-good practice that will leave you empowered, supple, strong and connected with your body and mind, no matter where you are in your yoga journey. You will also be introduced to self-regulation breathing and relaxation techniques to improve mood, help lower blood pressure and increase oxygen saturation, providing the body the optimal environment to repair and replenish itself. 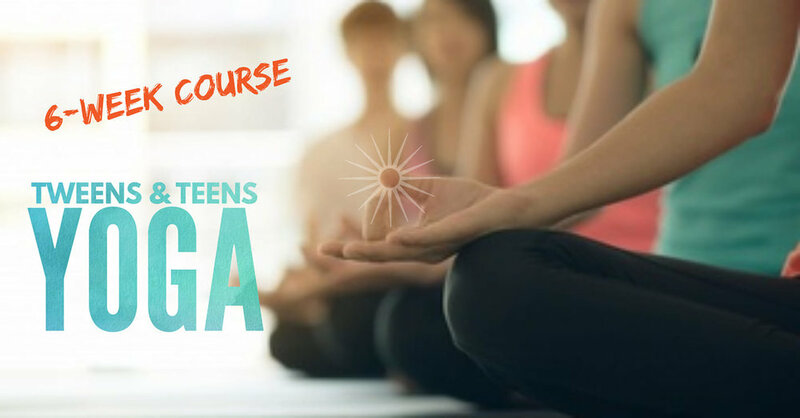 Yoga, Movement and Mindfulness course for 12-15 year-old tweens and teens (Y7+). Due to popular demand, this course will continue after the Easter holidays. Focusing on enhancing their mind-body connection, creating more balance in the body, improving posture (think text neck! ), core stability, strength and flexibility, boosting self esteem, creativity work and gaining an overall sense of calm. Each week will be themed and will be focused on one aspect of the yoga philosophy and practice, and how to incorporate it into our everyday life. Fun, funky and challenging, partner work is always included in class to spark their confidence and expand their relationship and social skills. Classes end with a guided mindfulness session and relaxation to help reduce stress and anxiety, and improve school performance. £42 for 6 weeks. Spaces are limited and must be booked in advance.